Motorcycles are one of the riskiest automobiles that a person could choose to ride. Riders of motorcycles are exposed to a variety of risks which drivers of other vehicles have safety features to reduce, like seat belts, airbags, and an enclosed shell that is generally designed to protect occupants. However, just because they have accepted the additional risks of riding a motorcycle, it does not mean that riders have any fewer rights than other operators of motor vehicles on the road when they are injured in an accident. If you have been injured while riding a motorcycle due to the negligence of another, contact an experienced Las Vegas motorcycle accident attorney from The Fletcher Firm today. Cars making left turns: Left turns are a factor in 42 percent of automobile-motorcycle accidents. Lane-splitting: Vehicle drivers expect a motorcyclist to be in one lane, not between two. Negligence and recklessness: For motorcyclists, speeding and driving under the influence are far more likely to be injurious or fatal. Road hazards: A motorcycle has but two wheels, so slick pavement, potholes, and debris on the road pose a considerable threat. Inexperience: Until you master a motorcycle, stay away from busy streets and highways. Most motorcycle accidents aren’t fatal, but the injuries that motorcyclists sustain in accidents are often catastrophic and devastating. Even at the lowest speeds, motorcycle accidents can cause serious injuries. Helmets save lives – frequently – so always wear one any time you are on a motorcycle. It’s the law in Nevada for all motorcyclists and motorcycle passengers at all times – no exceptions. But even a good helmet sometimes can’t prevent serious head trauma and traumatic brain injury. Always seek medical attention immediately after an injury, and if your head was impacted in the crash, have a thorough examination and a thorough follow-up exam. Sometimes the most serious effects of a head trauma or brain injury aren’t even detectable in the first few weeks after the initial injury. Motorcycle accident victims also often sustain back and spinal cord injuries that could lead to partial paralysis. Motorcycle accidents almost always also cause broken bones and lacerations. For the most accurate estimate as to what damages may be worth, motorcycle accident victims should speak with one of the experienced personal injury and motorcycle accident attorneys of the Fletcher Firm. For best results, the Fletcher Firm should be contacted by the victim as soon as the victim is medically able after an accident. If the victim can’t contact the firm, then someone close to the victim should contact the firm on the victim’s behalf – especially if police, accident investigators, and insurance representatives want to start asking questions. Motorcycle accidents usually leave less evidence than automobile accidents. There’s no broken glass and sometimes no skid marks at all, so these crashes can be difficult to reconstruct, and that can make it difficult to determine fault. Witnesses and police reports may offer incomplete or inaccurate information. You need an attorney who knows how to determine what really happened, someone who can determine who was responsible for your injury and hold the responsible person accountable. 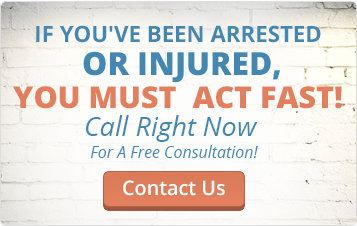 If you have been injured by a negligent driver while motorcycling in the Las Vegas area, contact an experienced Las Vegas personal injury attorney right away. It is generally in a victim’s best legal interests to retain legal counsel as early as possible in any kind of legal procedure so that the Las Vegas motorcycle accident attorney can speak for the victim and maintain his or her rights along the way. Anyone in the legal industry or who deals with the legal industry on a regular basis knows that individuals who partner with attorneys before they pursue damages for injuries are much more likely to collect the damages which the law allows than individuals who don’t. This is because attorneys and insurance workers for the at-fault driver will try to downplay and undervalue the extent of injuries sustained by a victim. Some are so good at this, that they can even convince the victim to pursue fewer damages than they actually deserve. The attorneys of the Fletcher Firm can see right through these efforts and can help the victim pursue the full and fair amount of compensation that the victim is owed. Until counsel has been retained, it is best not to make any statements or answer any questions following a car accident or motorcycle accident. Every other driver and person at the scene will no doubt make a statement about what happened, but this is not legally required. Victims of auto accident injuries can exercise the right to remain silent (which is a right that exists perpetually, not just in the realm of criminal law) and wait until a Las Vegas motorcycle accident attorney on the Fletcher Firm has been consulted before making any statements. Don’t sign insurance forms or admit any fault prior to contacting to a personal injury attorney. Take pictures of your injuries and any vehicle damage if you can. Make and keep copies of police, medical, or insurance forms or reports from the crash. Even if an accident victim is only barely conscious, police investigators may try to illicit some type of response for even the smallest detail about an accident. However, making any kind of statement or answering any kind of question, even about the smallest detail, can hurt a person’s case in the long run, which is why questions from investigators should be screened by attorneys before being answered.